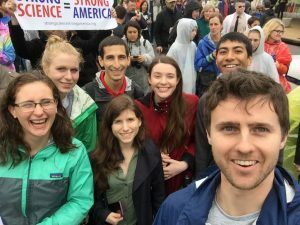 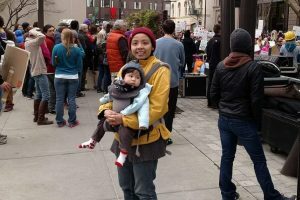 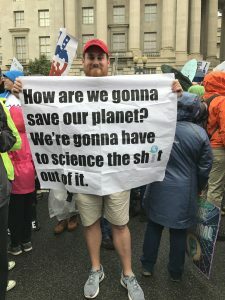 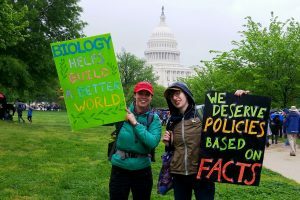 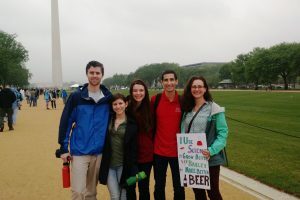 Graduate students from all five SIPS sections joined the many Cornell faculty, staff, and students who traveled to Washington DC for last Saturday’s March for Science. 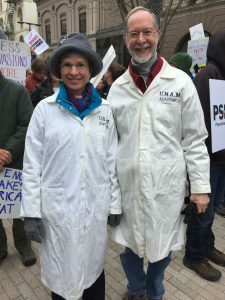 Others from SIPS attended the Ithaca March for Science including Jeff Doyle, Chair of Plant Breeding and Genetics (photo below) and Tyler McCann from PPPMB. 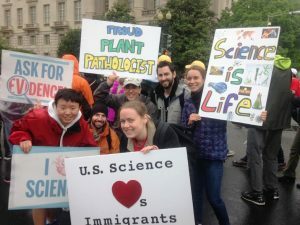 A big thank you to Juana Munoz Ucros, Bill Weldon, Carson Letot, Zoe Dubrow, Adrienne Gorny, Breanne Kisselstein, Alyssa Blachez, Andy Read, Gwynne Lim, Eugene Law, Morgan Carter, Anthony Wenndt, Mia Howard, Tyler McCann, Mischa Olson, and Jeff Doyle for providing photos and information. 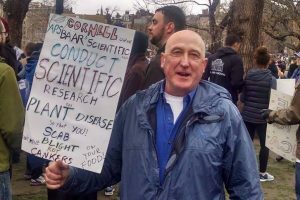 New York State brewers benefit from scientific research! 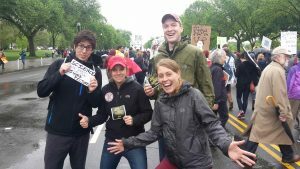 Past PPPMB graduate student Chris Becker represents scab, blight, canker, and rot!